After a night of celebration with dinner, drinks, gift-giving to our mentors, and swimming in the restaurant pool, we all slept soundly that night. The pavilions had rush and adrenaline in the air. A few of us decided to create a donation bag for the Social Awareness for Liberation Trust (SALT) Children’s Home. 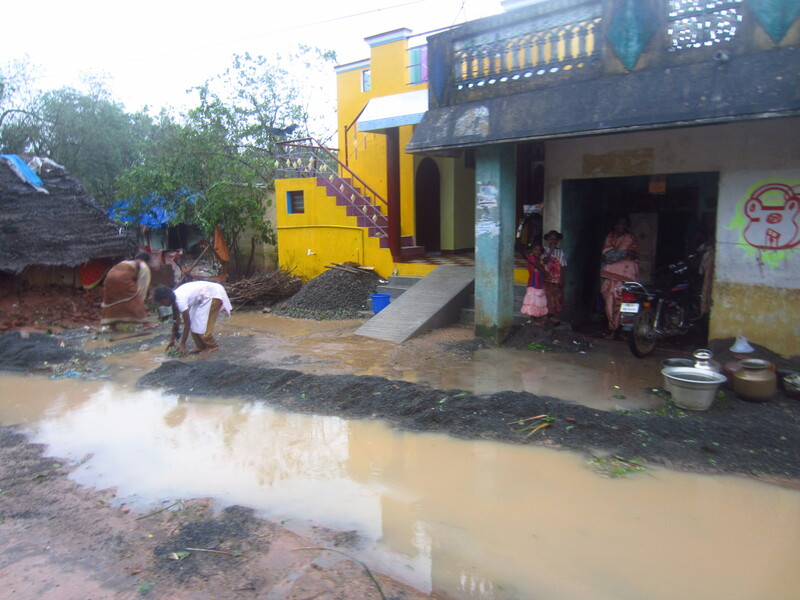 This home is essentially an orphanage and was severely affected by the cyclone. People came by and put toiletries in the bags, a few clothing items and flip flops, first aid products, and headlamps and flashlights. It wasn’t much or very fancy, but we were positive that it would be of greater use to them than it would be to us in Paris, especially since the home was still without electricity. True to form at the Tibetan Pavilion, we also lost power (again) when everyone needed it, while packing! Thankfully we still had some candles. People continued to pack and pray that their suitcases would not be overweight. As we brought our suitcases down to the front of the building, everyone was saying goodbyes to Sacha, Luke and Kalsang. There were also a couple of us that were left behind (of their own volition). Kalsang said she will never forget the night of the cyclone and the night after where we shared a soup for dinner because we had virtually no food and only a stone-aged method of cooking. We all huddled up into a big circle with our arms around one another’s shoulders and began to sway. Some started getting a little emotional. 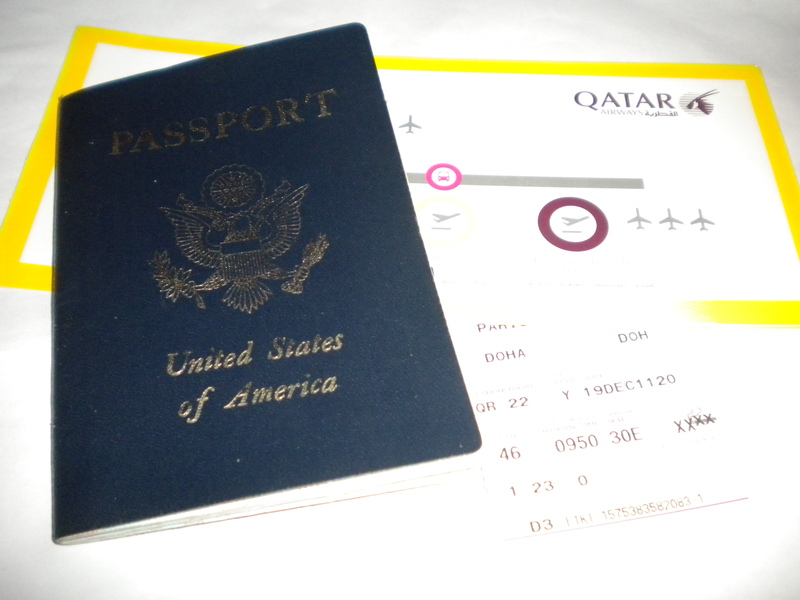 I thought to myself, “Finally!” I had been waiting the whole trip for us to bond like this and sing Kumbaya! I began singing it. We didn’t make it through the whole song but it was sort of like a gigantic, 25 person group hug and we ended on that note. After a long drive swerving through honking Indian drivers, mopeds carrying families, towns bulldozed for the purpose of building highways, and countless rice paddies, we finally arrived in the Shevroy Hills. Julien Peak, located in the heart of Tamil Nadu in the south of India, is known for its coffee. Winding up the mountain, it felt as if we had just crash-landed in the Pacific Northwest, thousands of miles away from India or anything close to it. As a coffee person, I have learned that the amount variables that go into a well-balanced shot of espresso are endless. When a barista pulls a bad shot, there is an internal list of possible mistakes: was it tamped evenly, maybe the grind was too fine, was it extracted for too long, or maybe the water was at the wrong temperature. With all of these variables, there are no rules, only taste and muscle memory. After visiting this coffee plantation, I gained an entirely new depth of understanding of this plant’s complexity. For Ramesh, the farmer who owns the plantation on Julien Peak, creating well-balanced delicious coffee has taken years of trial and error. His family bought the land in the 1930s. Ramesh intermingles coffee with orange and pear trees, tall shade canopy trees, cardamom bushes, and pepper vines. All of these contribute to the richness of the soil and the complexity of taste in the coffee. This is called intercropping, and it is a much more sustainable growing practice than conventional methods. His neighbors, for example, plant one variety of coffee in long rows with only a few shade trees. They weed their land, clear brush, and often spray fertilizer and pesticides. In contrast, Ramesh allows a thick compost to develop on the ground where animals make their home, creating a dynamic biosphere in the forest, eliminating the need to use fertilizers. Additionally, his plants are relatively healthy, allowing him to use pesticides sparingly – only on trees that are sick. While he does process his coffee through the “wet” method, which uses about 2,000 liters of water per ton of coffee, he is working to buy a new machine offered in India that uses less water to wash the coffee. The beans are separated from the fruit, then washed and set out to dry for eight to nine days. 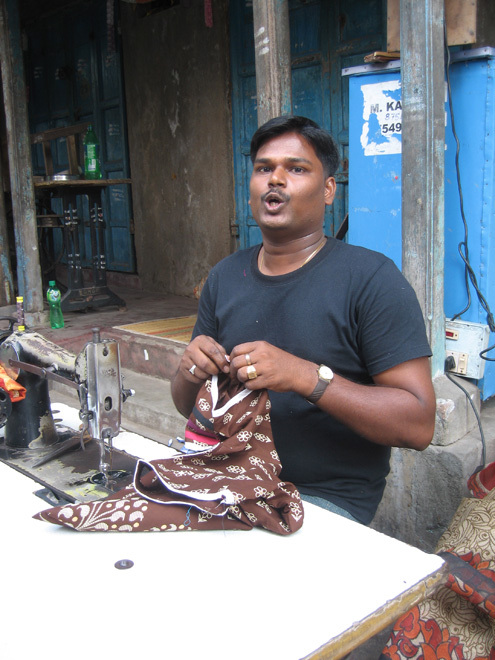 Ramesh reports that he does not follow the guidelines of Fair Trade certification. This is often a costly process with little direct benefit. Usually farmers would need to buy new equipment, and conform to strict international standards that are not necessarily more efficient or cost effective. Instead, he invites buyers to visit his plantation and examine his growing practices. His personal set of guidelines and emphasis on quality push him to grow his coffee as sustainably as possible. Incidentally, quality is synonymous with sustainable practices. With every sip, I enjoy a new appreciation for the time and energy that goes into growing a tasty cup of coffee. I will forever envision the coffee forest thick with compost, lush plants, and birds cawing. I picked up my laptop back from the repair shop today. It died two days after the cyclone hit, resting in a padded case with a full battery. I found it in the morning when I tried to turn it on and there was no response. No lights. No sounds. Nothing. 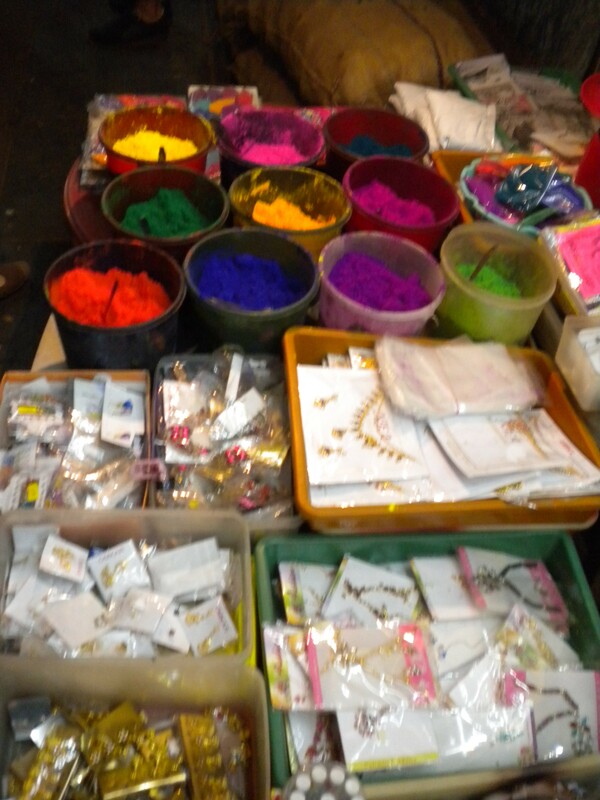 The only luck in my unhappy situation was that it happened in India, a country where you can get almost anything repaired. Almost anything. A few days ago in Pondicherry, my friend ripped one of his two-dollar flip-flops. The shoes were almost disposable, so his first reaction was to toss them and buy a new pair. But when he asked for the nearest shoe store, he was pointed to a repairman lounging on the side of the road. A few cents and seconds later, his shoes were as good as new. He saved money and another pair of potential trash was saved from the landfill. On a similar shopping trip, I bought a shirt that was a size too big for me. At home, it would have ended up sitting in the back of my closet, but not in India. Here, I simply handed it to a man sitting on the street with a small table and an old Singer sewing machine. Half an hour later I had a custom-fitted shirt. As for my computer, it now has two more gigabytes of internal memory and is working better than new. Not only did I save myself from buying a new computer, I saved a pile of electronics from ending up in the Pondicherry dump (link to dump post). The abundance of convenient and affordable repair services exist here because they save money, not because they save the environment. But the practice of repairing rather than re-purchasing keeps reusable resources from rotting in a landfill. It is a practice that contributes to a sustainable lifestyle and one that I wish was more common in the United States, where I’m from. When I get back, I plan to pay more frequent visits to my local repair shops, to promote my own repair culture at home. Turns out everything I thought I knew about medical clinics in a developing nation was wrong. They’re not sanitary. Their practices aren’t up-to-date. The nurses reuse needles. You can’t find the medicines you need. Doctors aren’t real MDs. You’ll end up more sick than when you went in. Though it’s embarrassing to admit this occidental perspective, with preconceived notions like these, one can’t help but be petrified of getting sick in another country. So what do I do? I get sick in another country. Consider it research towards the abolishment of misconceptions, I guess. Preconceived notions can only be combatted by acknowledging them and digging below what seems to be. Why do these notions exist in the first place? Is it a lack of information? Fear of the unknown? An isolated bad experience that is blown out of proportion? Armed with questions and cough syrup, I caught pneumonia and set out to debunk the medical myths. My methodology? One day, three medical facilities. After orders for blood testing to diagnose why I had had a fever, chest pain and difficulty breathing for days on end, I arrived at Auroville’s Kailash clinic early one morning, referral paper in hand. The small, sari-wearing nurse opened the needle in front of me, put a tourniquet on my arm and hit my vein on the first try. Two vials later and arm in the air, I was done and sent on my way. Since nothing had been a cause for alarm during my first medical visit and I felt the issue of medical care needed more investigation, I decided to notch it up a bit and test out another facility. Mid-afternoon I was taken to the Auroville Health Center after my fever spiked to a glorious 102˚F, inducing delirium and extreme fatigue. The doctor examined me and suggested I expedite the results of my blood test and get a chest x-ray at a hospital in Pondicherry; he feared I had pneumonia. The Pondicherry Medical Mission? It was my best research break yet! An hour later, I walked through the large glass doors of the hospital into a large, modern reception area. Nurses in blue and white salwar kameez scrubs flit around the hospital like workers bees in a hive. A man in a traditional skirt was pushed in a wheelchair to an examination room. Women in beautiful saris lingered in waiting rooms. Though the visuals were different, the structure was the same; this was a place where sick people came to get well. After a consultation with a general practitioner, a chest x-ray and a couple naps on whichever exam bed was available—research must include testing the equipment, right?—I sat in the pulmonologist’s office. Thumbing through the results of my blood test and viewing my x-ray, the doctor confirmed I did have pneumonia and that if I chose not to be admitted, I needed bed rest and strong antibiotics. So after extensive research, a solid diagnosis and about ten prescriptions later, my conclusions were in: one could get sick in a developing nation and get top-quality, reliable health care. While there may be some interesting exchanges due to language barriers—I once told a Ugandan doctor I had been constantly burping only to have him ask minutes later if I had been belching often—the experiences I have had with clinics in developing nations have been extremely positive, and, well, extremely beneficial to my health. After careful observation, I’ve never doubted the knowledge of the health professional treating me. I’ve never caught a counter infection. I’ve always been stuck with fresh needles opened in front of me. Antibiotics I’ve been given have been up-to-date, modern medicines. And in fact, every time I frequent a medical clinic in a developing nation, I always end up getting better. So while the practices may differ—I balked when I first received a prescription in a small, nondescript paper bag or paid the equivalent of three euros for an afternoon in the Pondicherry hospital—the care is the same. After digging below my preconceived notions about medical care in the developing world, my research shows that I have nothing to fear and that the misconceptions about medical facilities are just that—misconceptions. The sound of Tibetan monks chanting lovely, rhythmic prayers reaches my ears as I round the corner to go down the back path to the Tibetan pavilion. I am coming from an hour and a half massage on the beach and this relaxing music seems to be the perfect way to continue my feeling of contentment and connectedness. Tonight is very special for our little home away from home, the Tibetan Pavilion is to host “A Prayer For Unity”, a collective meditation ceremony that is usually done on New Year’s Eve. This year, however, it will take place on the night of the full moon as Kalsang and her family had to cancel the New Year’s Eve ceremony due to cyclone damage. As I pull in to the circle driveway, I can see and feel that the place has been transformed. Children play as neighbors, friends, and members of our group fill little pots with oil and lay them on the pre-drawn patterns. Everyone is quiet and smiling, it is as if the meditation has already begun. Eager to help, I hurry to put down my things and join in the preparation. As I pour oil into the little pots alongside my friends, I can’t help but feel that I am taking part in something special. It is hard to imagine that in a matter of hours, all of these candles will be lit and there will be people meditating everywhere, joining together to welcome a new year with serenity and open hearts. As soon as all the candles are laid out a few of us hurry to the Visitor’s Center for an early dinner. Our table is abuzz with excitement as we quickly finish our meals. We know that by the time we go back the transformation will be complete and the Tibetan pavilion will be filled with people and lit up with candles. Coming back from dinner the road is busier than I’ve ever seen it and the pavilion is more beautiful than I could have imagined. 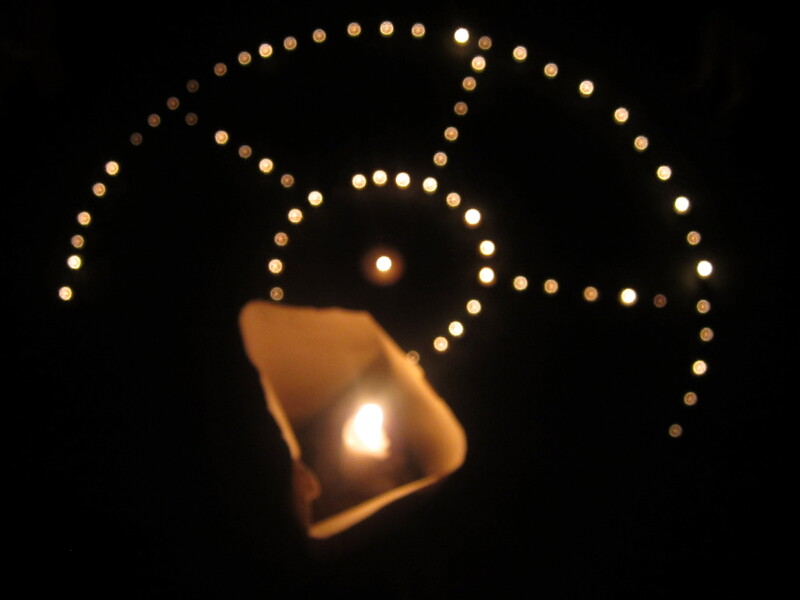 Candles light the path from the road to the circular driveway guiding our way through the darkness. 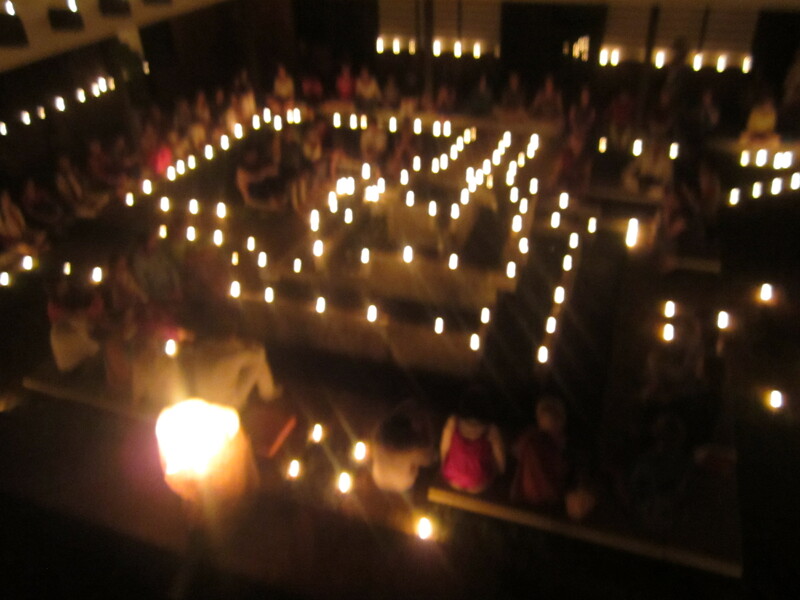 People quietly smile and greet one another as they slowly drift in to the courtyard, which is full of people sitting in different meditation poses and concentrating on transcendence. 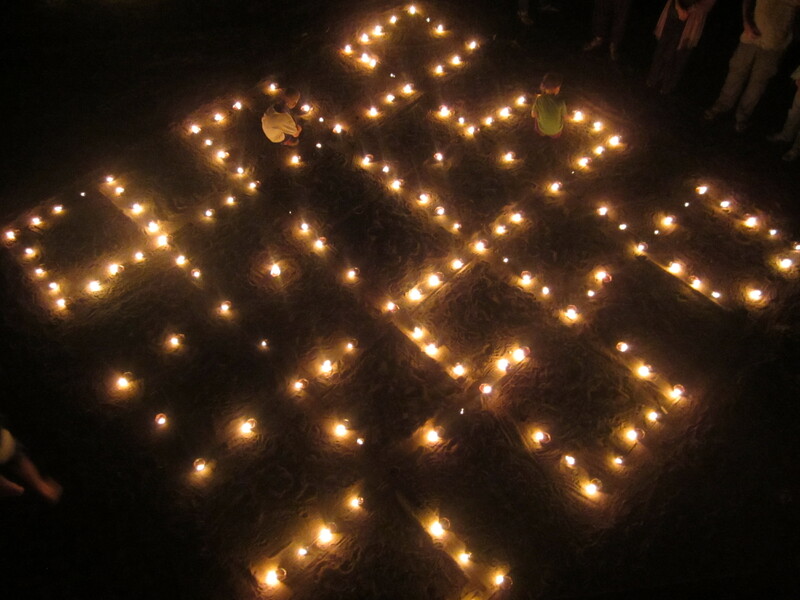 We are so fortunate to have been able to participate in this event that is known and anticipated throughout Auroville. I ask Kalsang, our hostess at the Tibetan Pavilion, about the event and her eyes light up. She and her family started the meditation ceremony in 1997 and 2012 was the first year that it had not taken place on the new year. She explains that the ceremony is based on the Tibetan Festival of Light which takes place in October. Like many things in Auroville, it is taken from an existing tradition and made unique to fit the community. Kalsang says that she chose the new year, “to unite people in the last and first moments of the year” and that it is about togetherness and, as its name suggests, unity. I climb to very top of the roof with some other classmates to get a bird’s eye view and the scene below is spectacular. We sit together, only speaking to one another in whispers and take in the spectacle around us. The flickering candles reflect the stars and the light of the full moon makes the sky a dusky blue. The “ohm” in the monks’ chant flows through the night air like a pulse and I can almost feel my own heart beating in time. As I gaze upon the serene group of strangers and new friends below, I think of the uncertain months to come. Like many of my classmates, the path ahead isn’t quite clear to me yet, but moments like this make me realize that wherever I go, whatever I do, I won’t be alone. We are praying for unity and we have it, at least for now. In India, what surprises me most is the ability of people to persevere. With Cyclone Thane, the worst to hit this area in decades, tearing through the region just over 10 days ago, I’m inspired that everywhere around me seems to be bustling with activity. In the hours before the storm had even passed, several family business owners had braved the wind and the rain to open up shop, providing people with needed supplies, like food and water. But it wasn’t easy for them to get there. Many traveled an hour plus on roads littered with large trees and power lines, which had thankfully been turned off by the government the evening before. Unfortunately, they arrived to their store fronts only to find their front spaces damaged structurally by debris or water. Amazingly, they pressed on with family members helping to bail water from the store front and cut away fallen trees. Rural village store front plagued by flooding after Cyclone Thane. It didn’t stop there, though. While many of us, having come from developed countries, would simply wait for power and road crews to cut through the debris and restore power, that isn’t an option in rural India. Without immediate access or government public services to do this type of work, villagers organized themselves, sending one able-bodied male family member to help clear the roadways in the days and weeks after the storm. Machetes in hand, they cut trees from roadways to make them passable, restoring power poles and lines to their upright state and helping other villagers shore up homes was the new work order of the day for many men. Meanwhile, women in the villages, many of whom work in and around Auroville for better pay, tried to return to work as quickly as possible. 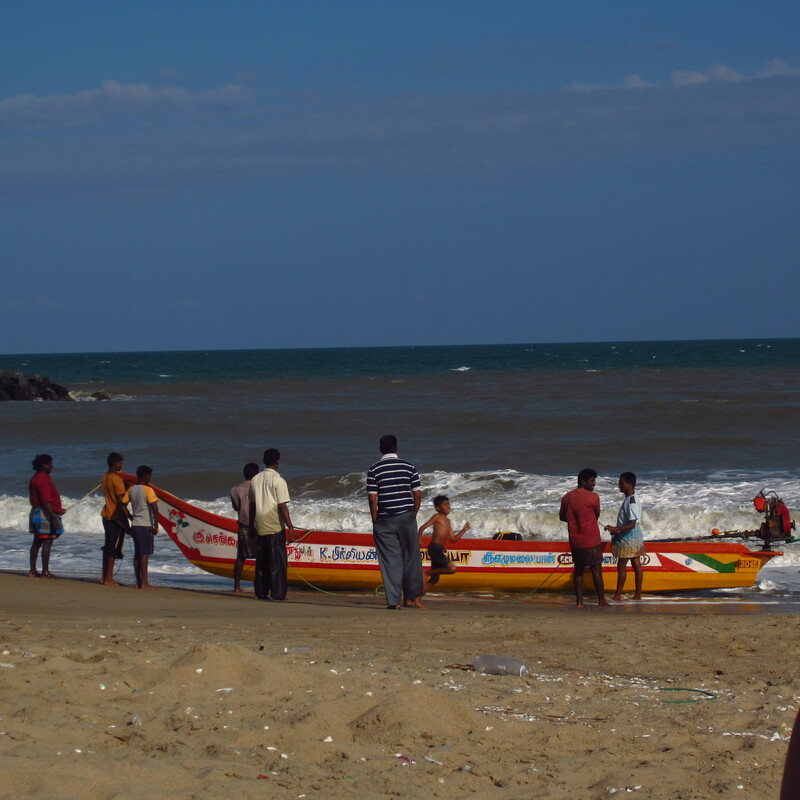 Several men help pull a village fishing vessel onto the beach in the days after Cyclone Thane. Astoundingly, with the quick and organized work to clear the roads, the most pressing of needs could be addressed; water. 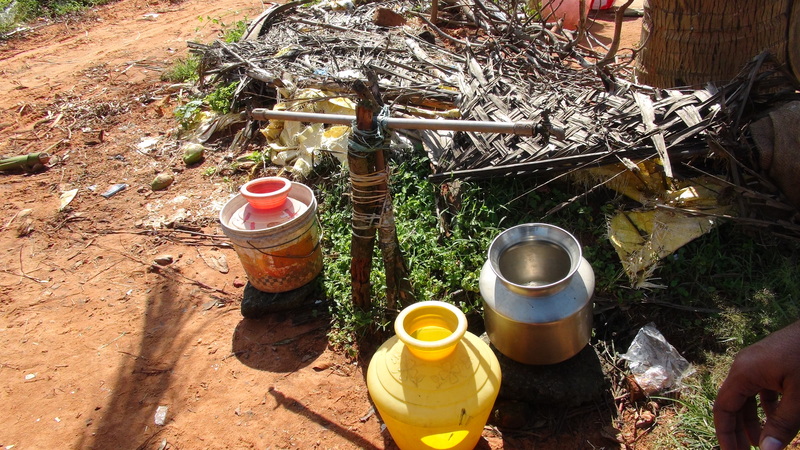 Unfortunately, many of the water wells in this area are pumped using electricity and without power, villagers who share these wells go without water. The road crews, however, were able to clear major thoroughfares to many large community wells quickly, allowing reserve generators to roam from community to community pumping water to fill the wells adequately for short periods of time. While the generator was used to fulfill pressing needs, the people who run businesses and organizations in Auroville have showed tremendous resiliency in the midst of continuing power outages, water rationing and personal loss. Take the staff at Morgan Café, with limited power they manage to turn out fantastic and nourishing meals via limited generator use. Employees at Upasana, managed to the clear the large tree that had come down and blocked access to the shop and started work on organic cotton clothing and other lifestyle items quickly. Well Café, which serves a dual purpose as both an eatery and space for culinary education and vocational skills, also re-opened despite significant damage to its building and structures. 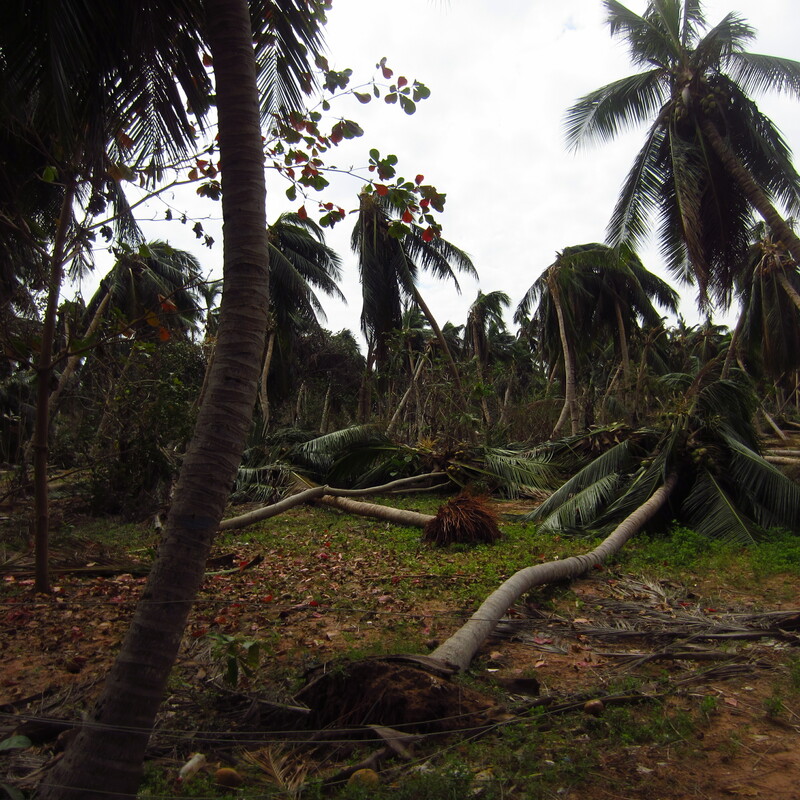 Coconut grove demolished after Cyclone Thane near the East Coast Road. At Marc’s Coffee, espresso wasn’t the order of most days after the storm, but pastry and sustainable filtered black coffee sourced from India was. Despite dwindling product reserves, founder and roaster, Marc Tormo, waited nearly two weeks for the generator to fill enough community bore wells before requesting it for business use over night so he could keep his store front running. When the generator arrived, he made the most of it, roasting several large batches of his specialty coffees until the late hours of the night to provide work for his employees and to continue to provide coffee to the communities in and around Auroville. The evening even turned into a bit of a celebration with espresso drinks all around and the roasting of the coveted Monsooned Malabar beans he had procured from the Malabar Coast. The beans are special because they are left in the open and swollen to absorb the moisture, winds and aromas of the monsoon air, much the way these beans had during the East India Company trading days when the beans would make the long voyage by ship from India to England and other places in Europe. 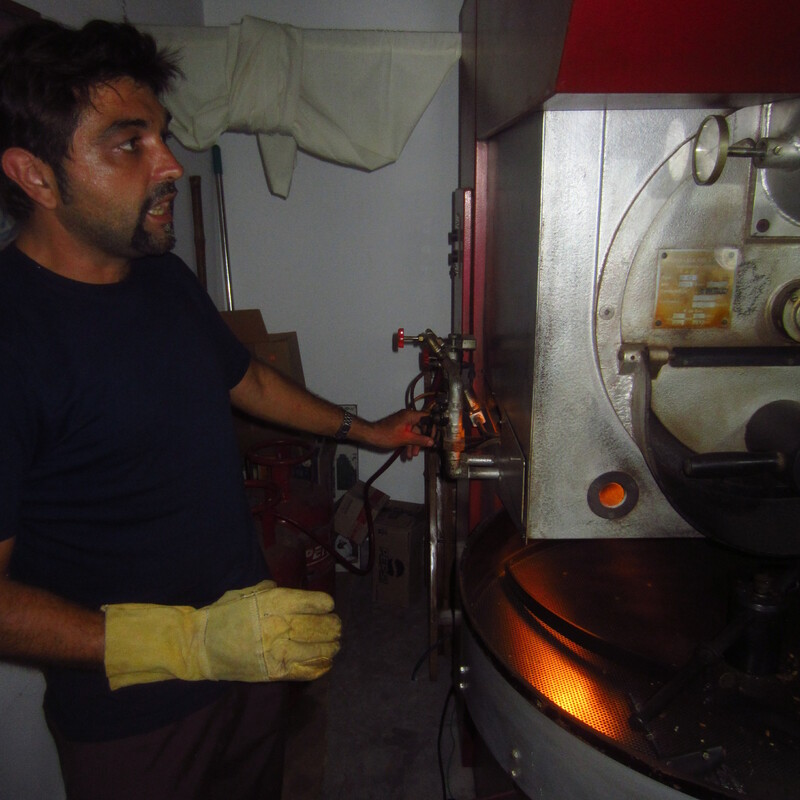 Founder of Marc's Coffee, Marc Tormo, roasts new coffee by dim light and generator two weeks after Cyclone Thane. It’s this genuine drive to move forward and to press on that keeps people in Auroville and the surrounding communities moving on, past the destruction and devastation. The resiliency of the human spirit here has been inspiring to watch and I’m thankful to have witnessed it.